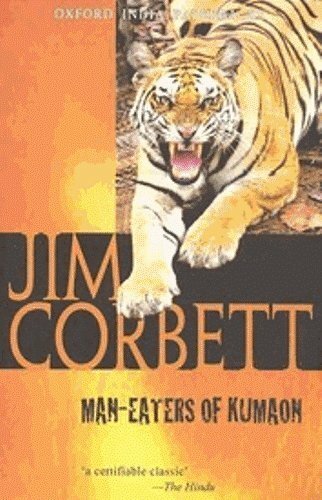 A really well-written and fascinating memoir by Jim Corbett, one of the world’s greatest big game hunters, about his experiences tracking and killing man-eating tigers in India, including the infamous Champawat Tigress, who killed 436 people in Nepal and India before being shot by Corbett in 1907. Although I’m an avid hiker, my tracking skills are basic in the extreme and it was really fascinating getting a peek into the mind of a great tracker like Corbett. The amount of information he could pick up from something as simple as a footprint or tuft of hair was mind-blowing. There’s also quite a bit of interesting information about tiger behavior and habits. As somebody who is morally opposed to big game hunting, there were a few chapters I found sad and depressing to read, because several of the hunts he discusses in the book were in pursuit of tigers who were not man-eaters and who he killed due to their large size or a similar factor that I don’t consider justification for murder. (Later in life, he apparently had a change of heart and refused to shoot any tiger that was not a proven man-eater, as well as lobbying for the creation of India’s first national park to protect tiger habitat.) However, the chapters on the man-eaters were thrilling reads. Given the era and society in which he lived and wrote, I was pleasantly surprised by Corbett’s sympathetic treatment of both the poor Indian villagers he was trying to protect and the man-eaters themselves. There were several very moving passages about the courage of some of the tigers’ victims and would-be victims and their families and neighbors, including a brave young woman who chased after the Champawat Tigress with nothing but a sickle after it carried off her sister. Corbett also treats the tigers with respect and explains the factors that made them into man-eaters, with harsh words for his fellow hunters when he discovers bullet wounds that disabled but did not kill the animal, forcing it to turn to easier, human prey.